Geothermal energy is energy derived from "warm areas" below the earth's surface. This energy can be obtained by circulating a fluid through pipes between the surface and the warm area below, which can then be extracting using a heat pump. 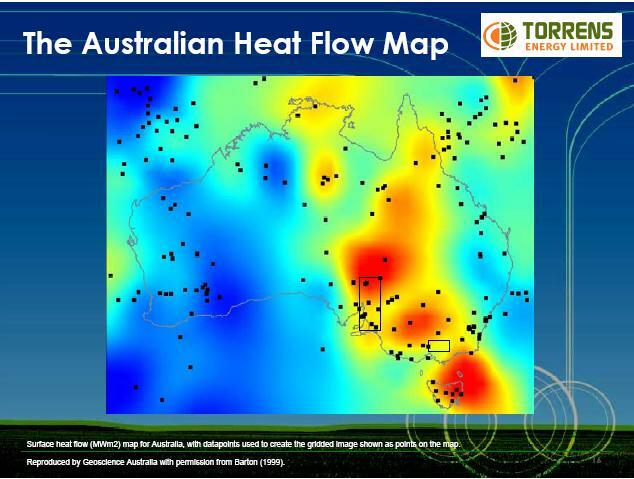 This article describes geothermal "warm areas" in Australia. 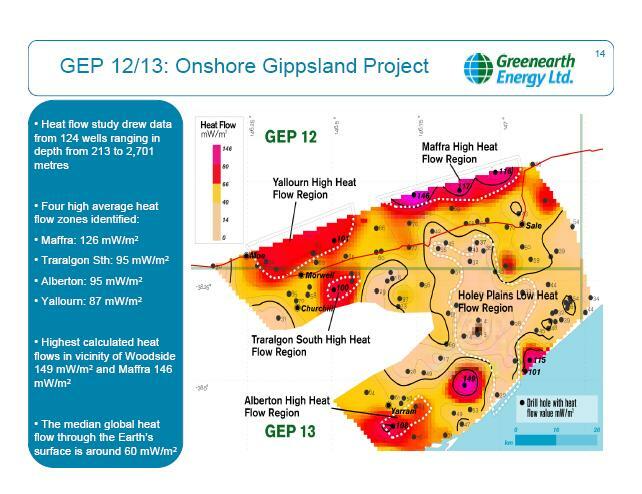 One of the most promising sites in Victoria is GEP12/13. Coincidently GEP12/13 is in the La Trobe Valley, near where most of Victoria's brown coal electricity generation plants.